What a privilege to spend a week with about 100 judges, federal and representatives from every state in Brazil. 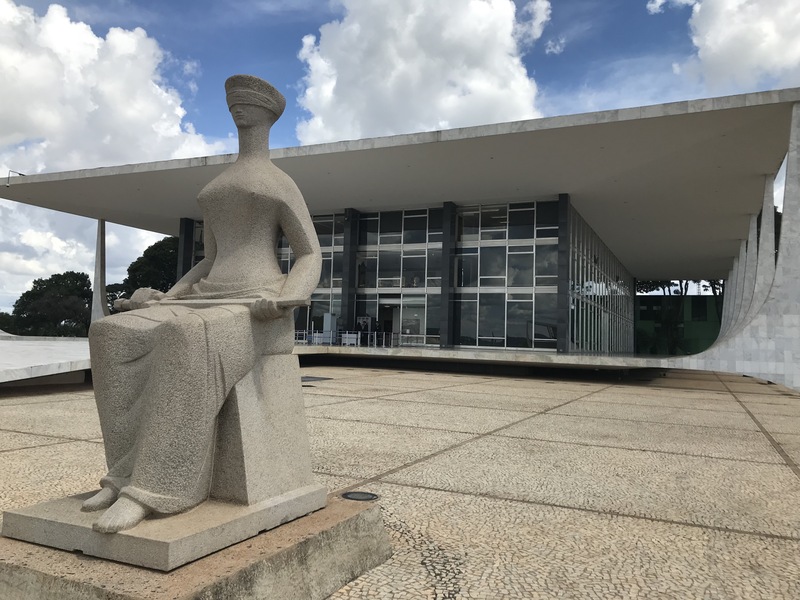 I was invited to train judges in restorative justice at the national magistrates school, ENFAM – Escola Nacional de Formação e Aperfeiçoamento de Magistrados. 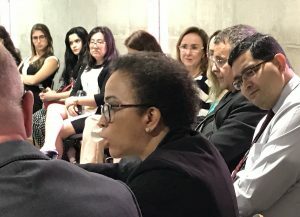 I joined a team of Brazilian judges who were trainers to develop a week long course. We used Peace Circles methodology and divided the judges into four groups, who rotated each half day. I facilitated two of the five units, focusing on restorative theory, practice and implementation. What an education and gift for us all to come together. 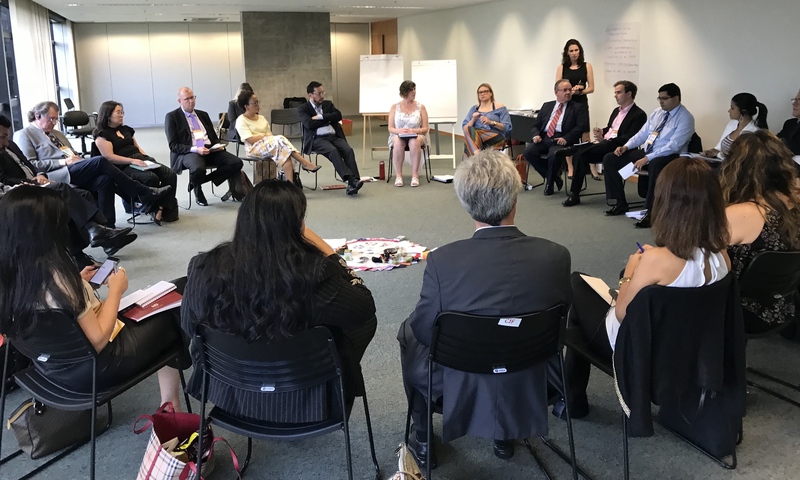 We advanced the dialogue about restorative justice that was initiated by pioneers in Brazil about 18 years ago, learned from pilot projects in three different states, discussed legislation including the resolution signed in May 2015, and considered what’s next. I am inspired by their openness, engagement, and commitment to change. We were treated to a special reception at the home of Canadian Ambassador in Brazil, Riccardo Savone. He warmly welcomed the judges in our course. I was a guest of honour and deeply touched when Canadian Minister of Justice, Jody Wilson-Raybould sent a message. A beautiful acknowledgement and celebration. 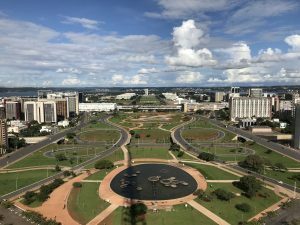 Brasília is such a unique city; it is a UNESCO World Heritage Site for its modernist architecture and urban planning. Located in the central highlands, it became the capital of Brazil in 1960, replacing Rio de Janeiro. It is a planned city. Lúcio Costa won the public competition, becoming the main planner with the majority of the architecture designed by Oscar Niemeyer. The city is the shape of an airplane, with different sectors for things like hotels, banking and embassies. It was built more for cars than pedestrians and I noticed a lack of public street life. Intrigued to learn more, such as stories of the thousands of laborers, named candangos, who came to build this city. I appreciated being taken on tours. During one lunch, I had a private tour of the Supreme Federal Court of Brazil. I sat where high profile guests meet the president and stood where you address the judges (Ministers). This highest court deals mainly with the constitution (1988), which is a very large book! Sessions are televised on TV Justiça. I am grateful for all the participants, other trainers (Roberto Bacellar, Leoberto Brancher, Andrea Hoch, Isabel Lima, Laryssa Muniz, Egberto Penido), Escola Nacional de Formação de Magistrados – Enfam, Canada’s International Development – Global Affairs Canada, Canada in Brazil, Embaixada do Canadá, (special thanks to Dina Thrascher and Luiz Miguel da Rocha), and everyone who made this initiative possible. I appreciate gaining amazing new colleagues and friends. 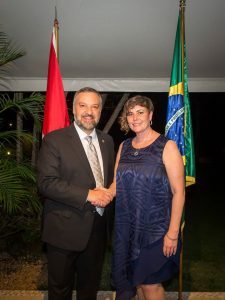 Proud to be Canadian and in love with Brazil. Fascinating synergies and wonderful partnerships between our two countries. Restorative justice is developing from both the bottom up and top down. Exciting times! I wonder what else is possible now? Interesting blog Evelyn. Congratulations it sounds very rewarding. we are immensely grateful that you have shared your experience with us. Thank you for your acknowledgement Andrea! It was such a gift and pleasure to train with you and the other judges.